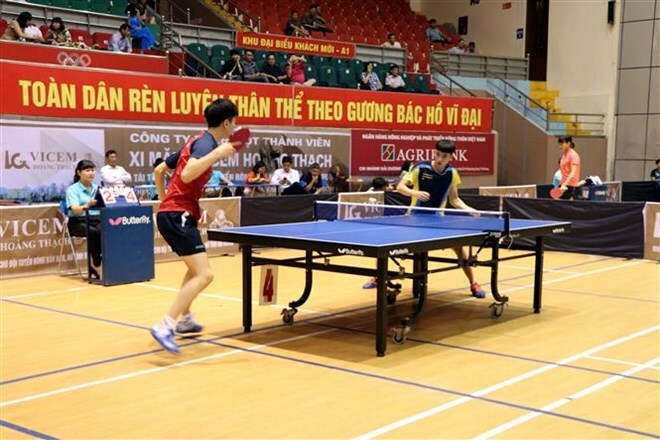 Hai Duong (VNA) – The eighth International Table-Tennis Tournament for Hoang Thach Cup kicked off in the northern province of Hai Duong on April 12. The three-day tourney drew the participation of 81 players of nine teams. Three foreign teams of young Malaysian players, Suwon (the Republic of Korea) and Guangxi (China) are competing in the event, along with six domestic ones of Hanoi, Ho Chi Minh City, Da Nang, Army, and two teams of Vicem Hoang Thach Hai Duong.